Memorial services for Lorie Jean (Murphy) Christensen of Nora Springs, IA and formerly of Riceville, IA will be 11:00 A.M. Saturday January 26, 2019 at Immaculate Conception Catholic Church in Riceville, IA. Visitation will be held 4 -7 P.M. Friday January 25, 2019 at the Hindt-Hudek Funeral Home in Riceville with a scripture service at 6:30 p.m.
Lorie Christensen, age 60, passed away at Mercy Medical Center North IA in Mason City on January 21, 2019. She was born September 9, 1958 in Iowa City to Eugene and Mavis (Prochaska) Murphy. She was united in marriage to Jerry Christensen on June 11, 2011 at Lake Hendricks in Riceville. Over the years Lorie worked at Osage Rehabilitation Center, Nora Springs Care Center, M City Affordables & Comp Systems and was most recently employed at Casey’s in Nora Springs. She always had a sunny disposition and lived her life on her terms. She was the “Big Sister” or second “mom” to many of her nieces and nephews. Lorie didn’t want to have her disadvantages hold her back, she was self-taught on the computer and social media and always kept up on family postings. She enjoyed listening to country music, playing cards especially 500 and also enjoyed board games. 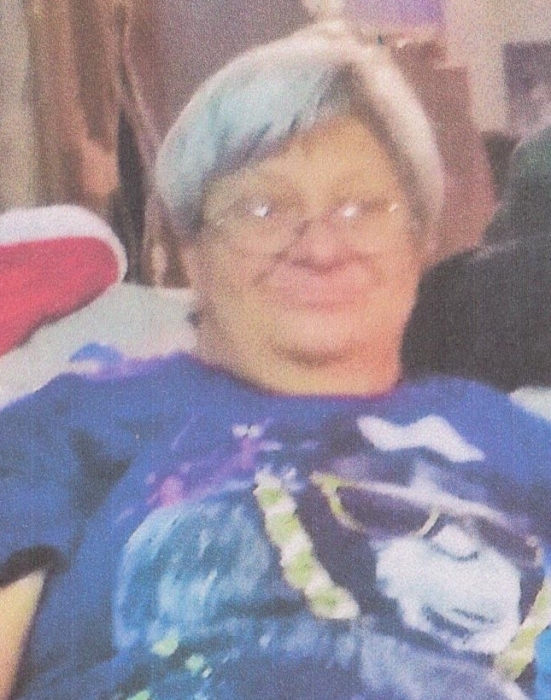 She liked scratch tickets and an occasional trip to the casino and enjoyed playing computer games with her friend, Travis from Texas. Lorie was a loving wife who took pride in learning to cook and help her husband, Jerry. She is survived by her husband Jerry Christensen of Nora Springs, IA, 2 sisters; Linda (Richard) Ott of Nora Springs and Ann (Dean) Ott of Marble Rock, IA, nieces and nephews; Richard (Julie) Ott Jr., Sheila Ott, Keith (Jennifer) Ott, Melissa (Trent) Maurer, John (Amy Weber) Ott, 9 great nieces and nephews, 4 great-great Nieces & nephews and many nieces and nephews on the Christensen side.